Now that the dust has finally settled on E3 for another year, we’ve had some time to digest some truly fantastic game reveals. Some we may or may not see this console generation. We’re now into the final stretch with some developers already teasing what’s to come next-gen. At the very least we can probably expect a few of them to be cross-gen titles. Naughty Dog brought the goods in a big way with the astonishingly good looking The Last of Us 2. Cyberpunk 2077 made an appearance and had behind closed doors game-play that wow’d all lucky enough to experience it. We had the usual suspects from Call of Duty to Assassins Creed and we got the lowdown on what to expect from Fallout 76. But what got me most excited this E3 wasn’t Battle Royale coming to Battlefield V or Black Ops 4, or that depending on your console of choice; what extra missions you’ll receive locked behind some exclusivity clause. No, for me personally, the three big games came in the form of samurai games Nioh 2, Sekiro : Shadows Die Twice, and Ghosts of Tsushima that really got me chomping at the bit. Samurai games are nothing new, the Playstation store is not short of titles to choose from (I’d like to take this time to recommend the excellent Shadow Tactics: Blades of the Shogun) and every year we’ll get some variation of Samurai Warriors or last years excellent souls-like Nioh. So why should we be excited about these new games? 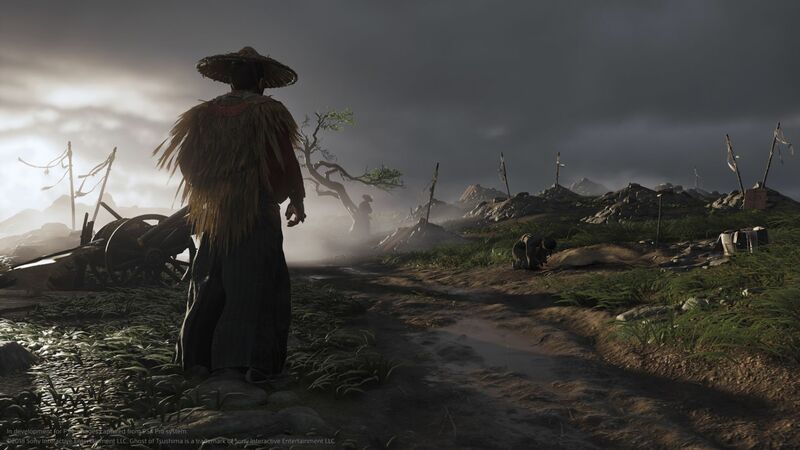 Sony exclusive, Ghost of Tsushima, was arguably one of the most beautiful looking games at E3 2018. So much so that some questioned if it was even running on a current-gen console. Sucker Punch, better known for their Infamous series and Sly Cooper, are the developers behind this one. The game revolves around main protagonist and samurai, Jin Sakai, and is loosely based on the first Mongol invasion of Japan, set on the island of Tsushima. The game will be open-world and players will be able to explore with no way-points to guide them. Exploration will be done on horseback or for harder to reach places, with use of a grappling hook. From what we can see in the trailer, the game looks to take a lot of inspiration from the classic samurai movies by Akira Kurosawa . As of writing, none of these games have been given a release date yet, with only Sekiro: Shadows Die Twice promised in early 2019. Do you agree or disagree that we should be excited about any of the above games? Do you think we’ll see any of them on current consoles or should we expect to see them go cross-gen? What games excited you the most from this year’s E3? Sound off in the comments below!